The Section 8 Notices are served by Landlords and Estate Agents when they require possession of a rented property. A Section 8 notice is completely different from a Section 21 Notice. The Landlord or Estate Agent must serve a notice seeking possession on the tenant prior to undertaking any court proceedings. The amount of notice required is dependent on the grounds cited within the notice, these range from 2 weeks to 2 months. 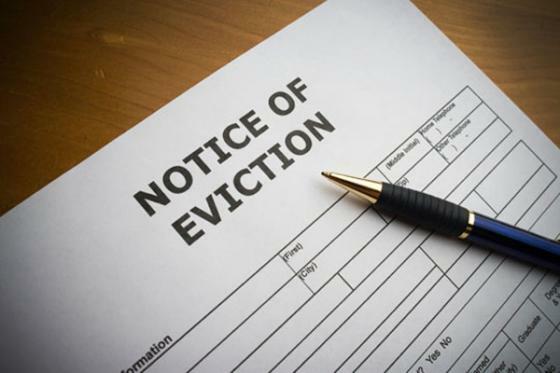 Within a Section 8 notice, grounds 3,4,8,10,11,12,13,15 and 17 require the tenant to be given 2 week’s notice. Grounds 1,2,5,6,7,9 and 16 require that the tenant is given 2 month’s notice, and ground 14 is applied on service of the notice. The Landlord must clearly specify the grounds on which he is serving the Section 8 notice to recover possession of the property. One or more grounds are to be cited in accordance with the Housing Act 1988 and 1996. Many of the grounds are discretionary, however, any grounds cited which are mandatory will mean that the court has an obligation to issue the possession order, should the Landlord be able to prove these grounds at the time of the court hearing. The 17 grounds for possession – Section 8 Notice – Housing Act 1988 & 1996. The Landlord has previously used the property as their main dwelling and requires such property back for this purpose. The residential property is subject to a mortgage which was granted before the tenancy started and the lender wants to sell the property due to mortgage arrears. The tenancy is for a fixed term of not more than 8 months and at some time during the 12 months before the tenancy started, the property was let for a holiday home. The tenancy is for a fixed term of not more than 12 months and at some time during the 12 months prior to the start of the tenancy, the property was let to students through an educational establishment such as a college or university. The property is used for a minister of religion and is required back for that purpose. The Landlord has the intention of substantially redeveloping the property and cannot do so with the tenant present, This ground cannot be used if the Landlord or someone before him/her brought the property with an existing tenant, or where the works can be completed without the tenant leaving. The tenant’s removal expenses will have to be paid by the Landlord. The former tenant who must have had a contractual periodic tenancy or a statutory periodic tenancy has died in the 12 months before possession proceedings started, and there is nobody living at the residence to with the right to succeed the tenancy. The tenant owed at least 2 month’s rent if the tenancy is on a monthly basis, or 8 weeks rent of the tenancy is on a weekly basis, both when the Landlord gave notice seeking possession of the property and at the date of the court hearing. Discretionary grounds on which the court may make an order of possession, in connection with a Section 8 Notice. Suitable alternative accommodation is made available for the tenant, or will be when the court order comes into effect. The tenant’s removal costs will have to be met by the Landlord. The tenant was behind on his or her rent both when the Landlord served notice seeking possession and when the court proceedings began. If the tenant was not behind on his or her rent, however, is persistently late in paying their rent. The tenant has broken one or more terms of the tenancy agreement, not to include failure to pay their rent. The condition of the property has deteriorated due to the behaviour of the tenant or somebody living in the property. The tenant, somebody living in, or visiting the property: – Has caused or is likely to cause a nuisance or annoyance to someone living in, or visiting the locality, or has been convicted of using the property or allowing the property to be sued for immoral or illegal purposes, or an arrest able offence has been committed. The condition of the furniture in the property has deteriorated due to being ill-treated by the tenant or somebody living in the property. The tenancy was granted due to the tenant being employed by the Landlord or former Landlord, but this is no longer the case. The Landlord was coaxed into providing the tenancy on the basis of a false statement knowingly made by the tenant, or a person acting on the tenant’s behalf. When issuing a Section 8 notice, you should always make 3 copies. One the Section 8 notice for the court, two Section 8 notice for the tenant and three, Section 8 notice to retain for your own records. These Section 8 notices will all be stamped by the court. Ensure that the tenant’s full details and the rental address details are correct before issuing a Section 8 notice. List all the grounds in which you are seeking possession, using the exact wording as outlined on the Housing Act 1988 and 1996. You should give exact details of why you have chosen the grounds on the Section 8 notice that you have cited, ensuring that you support your claim with documentary evidence. When applying to the court use forms N5 and N119. N5 claim for possession of property should be completed and one copy given to the court, one to each defendant and one to be retained by yourself. Form N119 Particulars of claim for possession, give your reasons for seeking possession and again allow one copy for the court, one for each defendant and one for your records. Once the court hearing commences the Judge has a range of judgements to use, these are dependent on the circumstances of the case. If you are not sure that you could cope with dealing with these issues by yourself, please seek the help of a legal professional before the case commences. The proceedings could be dismissed, if the Landlord fails to provide supporting documentation, this would give the tenant leave to claim against the Landlord claimant. Where the defendant offers no defence, or there is no credibility to the defence, it is possible for the judge to determine the case and issue a judgement without the need for a full hearing. It may be decided that additional evidence is required, in the event that the defendant is counter claiming, or whereby the breach of contract does not warrant issuing a possession order, the hearing would be adjourned to a later date, subject to specified conditions. A Possession Order will be made and a warrant for possession issued, on the basis that the Landlord’s case is made and the defendant has no counter claim. This warrant will give the tenant a specified amount of time to vacate the property. On expiry of the warrant the tenant can be removed by court bailiff’s on application by the Landlord. A warrant for possession will normally be effective 14 days after the court hearing, however, this can be delayed should it cause the tenant exceptional hardship, the delay can be for up to 42 days (Usually 42 days maximum if the tenant needs hospital treatment locally or has young children). If the judge sympathises with the tenant’s case, and the tenant has a credible reason for rent arrears, the order for possession can be suspended allowing the tenant time to pay the rent arrears. Should the tenants fail to adhere to this, the Landlord can apply to the court to make the Possession Order absolute. This does not necessarily mean that the court will not grant the tenant a second chance. Landlords should be clear and concise when applying to the court for a Section 8, Notice for Possession. There are many grey areas and should forms not be completed correctly, the courts will deny the case hearing, causing the Landlords to accumulate more costs.